For someone who has little knowledge of the history of Sikhs or may be Khalsa in this case, this book was a revelation. A fictional piece with easy words kept me engaging till the last page. 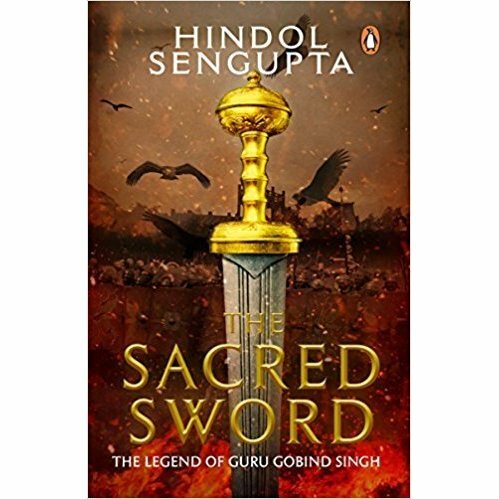 Though a fiction, the book gives a fair idea of Khalsa history and various struggles Guru Gobind faced to survive his religion. It starts with the torturous murder of Guru Teg Bahadur and his well-wishers by the army of Aurangzeb. It is an interesting piece to know Guru Gobind Singh made warriors of villagers and terrified the Aurangzeb army while setting the stone of Sikh Empire. There are some moments in the book when it excites me to come at the edge of the seat while there are moments when I relax and get answers to my questions. Poetry is splendid. The book has opened my curiosity to know more about the History of other religions. Hope it does it for you too. Buy it here.